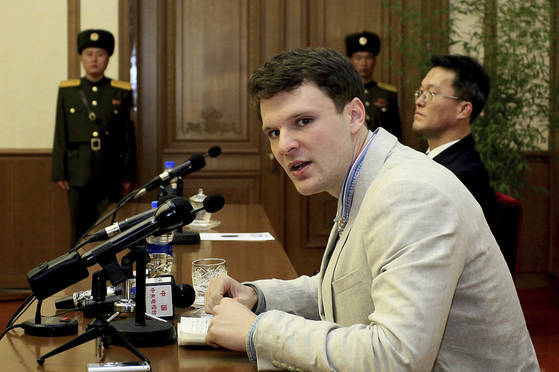 The University of Virginia student Otto Warmbier, released from North Korea after 17 months of captivity, has been in a coma, according to the report by The Washington Post. According to the press, Warmbier’s parents were informed by North Korean officials that Warmbier came down with food poisoning after the trial in March, then fell into a coma after being given a sleeping pill. Rodman was accompanied by geneticist Joe Terwilliger for the trip. He was wearing a T-shirt with “PotCoin.com” written, which is the company that sponsored Rodman’s trip to North Korea.